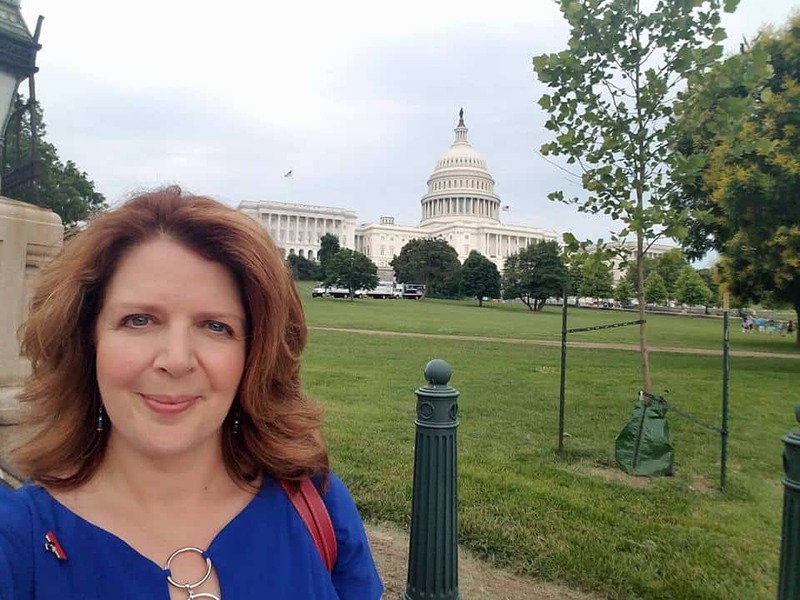 Gilda's Club Middle Tennessee CEO Sandy Obodzinski visited Capitol Hill in June to advocate for social and emotional screening and support in the cancer care experience for patients and families. At Gilda’s Club Middle Tennessee, we hear stories every day from members who feel lost, alone, confused, and overwhelmed by a new diagnosis, treatment plans, the need to communicate with family and friends, and seemingly countless unknowns. Cancer can weigh so heavily – not only on the diagnosed, but also their loved ones – and it demands far more than just medical care. Cancer requires social and emotional support, too. This is the message I shared with staff members in the offices of Tennessee Representative Jim Cooper, Senator Lamar Alexander, and Senator Bob Corker last month when I visited Capitol Hill with Cancer Policy Institute team members from our affiliate, Cancer Support Community. Together, we advocated for social and emotional screening and support in the cancer care experience for patients and families. We also shared with our legislators how Gilda’s Club, a donor-supported 501(c)3, is making a difference in the lives of people managing cancer every day in Middle Tennessee. So, what do I mean when I say support program? (This is a question I got frequently while visiting The Hill.) At Gilda’s Club Middle Tennessee, support comes in the form of support groups, healthy lifestyle workshops, mind-body classes, social activities, educational lectures, and community resource information. It’s available for all ages, all genders, and all cancer diagnoses – and it’s offered from two locations, not only for those with cancer, but also their family and friends. Why is it important that our legislators understand the importance of social and emotional support? One, because research shows that a holistic approach to cancer care can drive improved outcomes. And two, because the need for this type of support isn’t going away; we live at a point in time when more people are living with cancer than ever before. Understanding these things helps inform our legislators’ perspective on critical local, regional, and national healthcare issues. As we concluded each of our meetings in Washington, D.C., we did so with an invitation for each person at the table to come inside our ‘red door’ and experience the Gilda’s Club community. It’s a community filled with so much hope and love and laughter. It’s a place that exists so no one has to face cancer alone. Our ‘red door’ is always open. I invite you, too, to come inside.